Enjoy complimentary breakfast for 2 when you stay 2 nights or more thru April 30, 2019. From the pool to the marina, there is so much to explore! 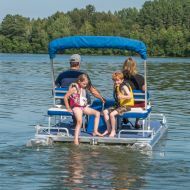 Get up to 20% off, plus two free hours of fishing boat use per day. 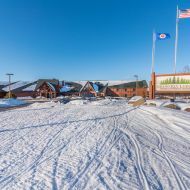 Immerse yourself in Northern Minnesota comfort at Grand Ely Lodge Resort & Conference Center, a stunning choice in Ely, MN hotels. 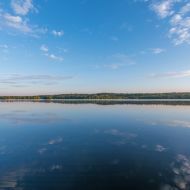 Located in the scenic Up North wilderness, our four-season resort boasts comfortable, spacious lodgings and stunning panoramic views of Shagawa Lake. 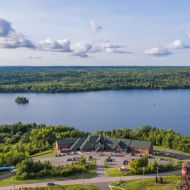 Whether you’ve come to Ely for a family vacation, a much-deserved getaway, or a productive business retreat, Grand Ely Lodge Resort & Conference Center provides a much-needed escape from the hustle and bustle of everyday life. 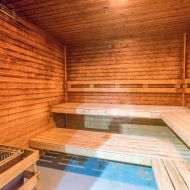 The Grand Ely Lodge experience starts with our wide array of services and amenities. 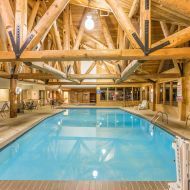 Take a refreshing dip in our indoor pool, or warm up and soothe tired muscles in our whirlpool and sauna. Traveling with children is easy and fun—entertain the kids with hours of fun outdoors or in our on-site game room. 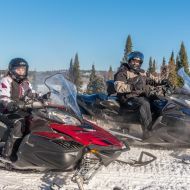 After days spent snowshoeing or afternoons spent hiking the Trezona Trail, you can enjoy all-day dining at the Evergreen Restaurant and refreshing beverages with a view at the Antlers Lounge; at both restaurants, children ten and under eat for free at every meal. 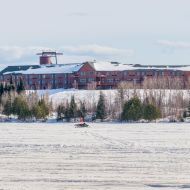 After activities, you’ll love to unwind in our guestrooms, boasting the most comfortable and relaxing accommodations among Ely, MN resorts. 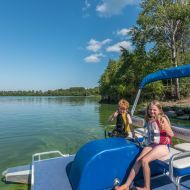 View LIVE our Shagawa Lake Cam or Marina Cam. 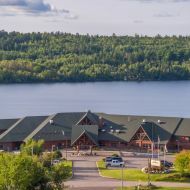 Grand Ely Lodge is located just under a mile from downtown Ely on the waters of Shagawa Lake where there is some of the greatest fishing for Walleye, Bass and Northern. 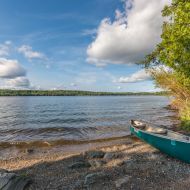 From the Grand Ely Lodge, you can easily embark on the adventure of your choice, from exploring Shagawa Lake for up to two hours with a complimentary use of our canoes, paddleboats, or kayaks. Explore the four-mile Trezona Trail by biking in the summer or cross country skiing in the winter. 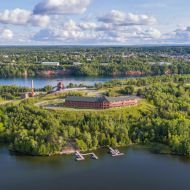 When you’ve had your fill of outdoor sporting, head into Downtown Ely to enjoy the charming atmosphere filled with Arts, Shops & Historical Venues and voted one of America’s Coolest Small Towns. Our natural surroundings provide the perfect backdrop for productive business meetings and memorable weddings and events. The flexible function spaces, experienced onsite staff and custom catering service available at Grand Ely Lodge combine to make planning your event simple and memorable. 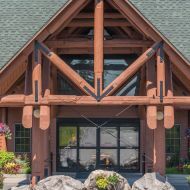 Reserve your lodging today and become a part of the Grand Ely Lodge family. 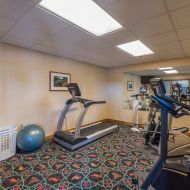 You'll soon discover why we are considered a premier choice in Ely, Minnesota hotels.